I discovered Last Dinosaurs via the Australian band Cloud Control. 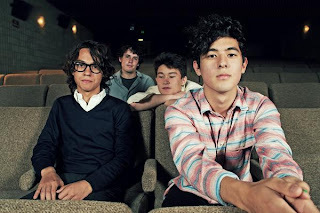 These young men (about 18 years old in 2010) come from Brisbane and are under the label Dew Process since November 2009. They released their excellent album "In A Million Years" in 2012. Discover other great artists on the CLICK+LISTEN series.